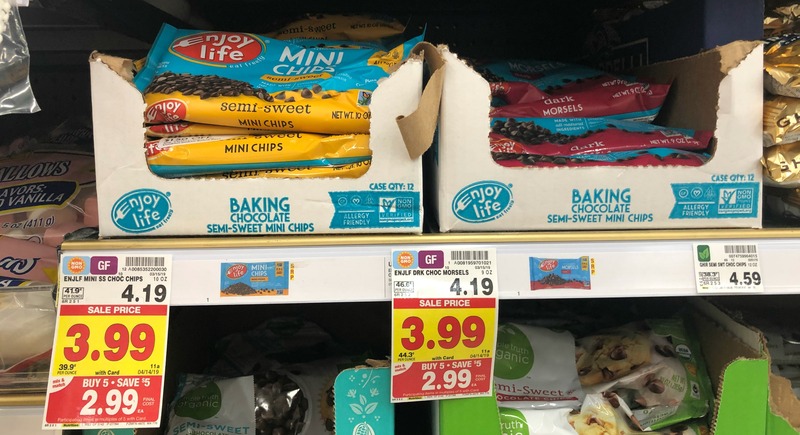 Enjoy Life Catalina | Pay as low as $1.09 for Mini Chips at Kroger (Reg $4.19)! 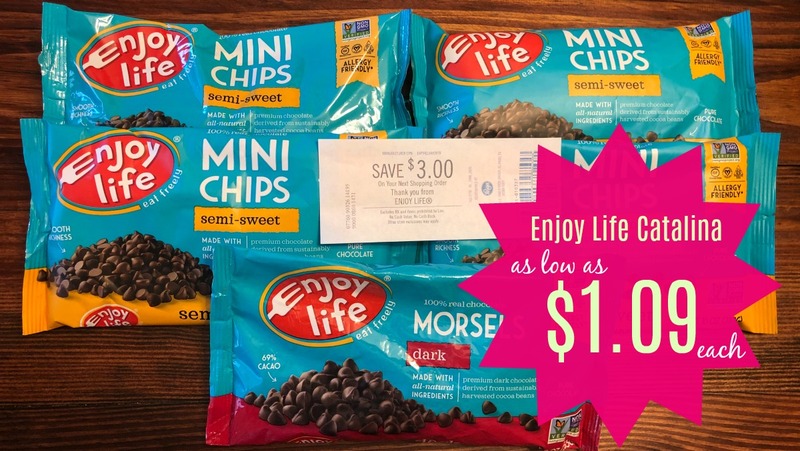 Check out this great deal on Enjoy Life products at Kroger. We have a Catalina generating that will make these items as low as $1.09 each. In order to get this price you will need to print a couple of $1.00 coupons and then submit for an Ibotta Rebate. But really, this is kinda cool. 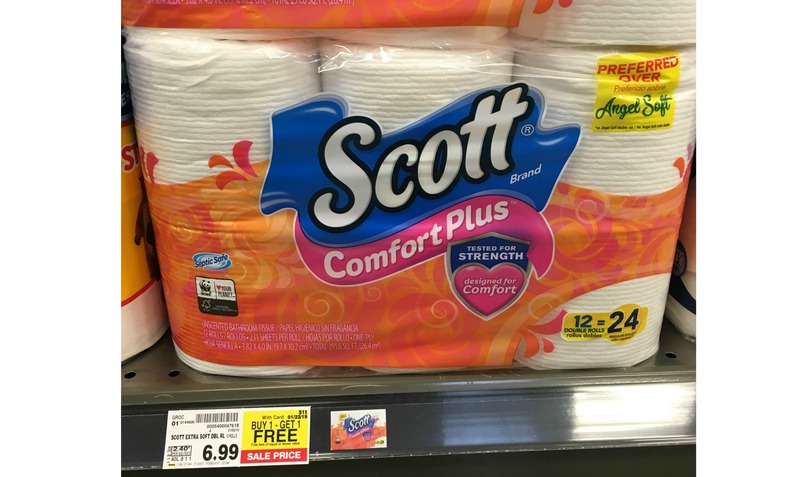 Kroger no longer accepts printable coupons. 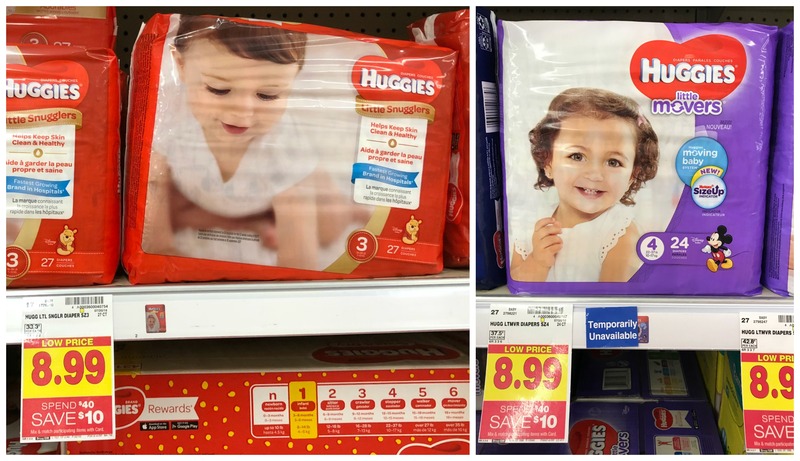 The Huggies Catalina and Baby Aisle Instant Savings is BACK at Kroger!! 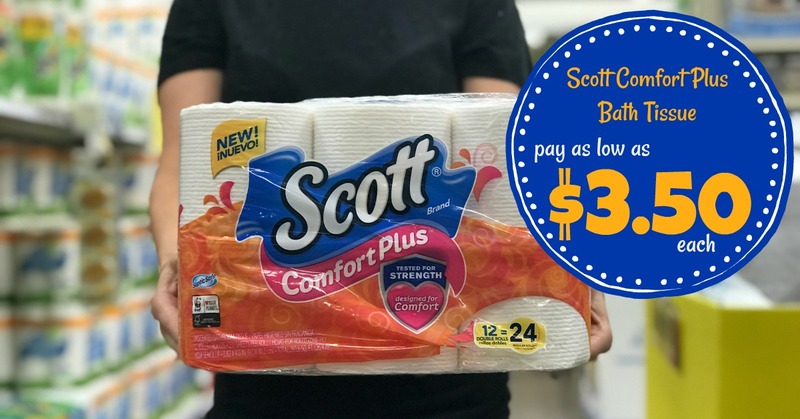 Pay as low as $3.59 each!! This is one of my most favorite deals EVER and I totally mean this! I don't like seeing parents paying full price for diapers. The Huggies Catalina/Baby Aisle double dip is BACK and it's GOOD!! 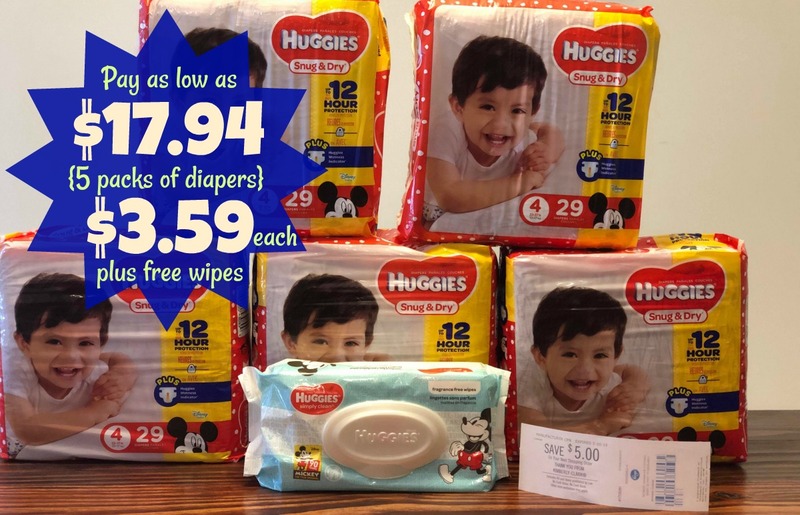 We have had a Huggies Catalina generating for a few weeks that will score $5.00 On Your Next Order when you purchase a total of $20 worth (before coupons*). BUT the even better part is the BABY AISLE Instant Savings joined in to help us stock up. The Baby Aisle Event this time around will give you $10.00 off instantly when you purchase up to $40.00 of tagged items. 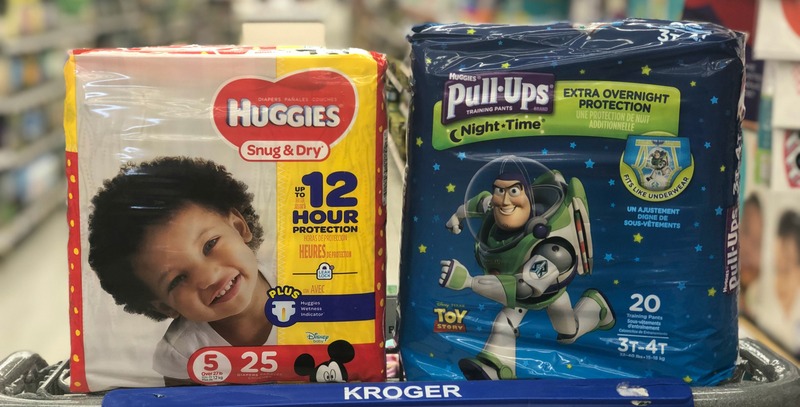 Right now we only have a few printable coupons to use on these diapers and training pants BUT we have NEW insert coupons coming in this weekend's paper (3/10 Smart Source) so I have a few deal scenarios for you below. You can mix and match any of the baby items you'd like to get to your $20 total for Huggies and $40 overall total*. After coupons, Catalina and Instant Savings, you'll be scoring diapers for as low as $3.79 a pack! Click HERE to view pictures of all items included in Baby Aisle Event. 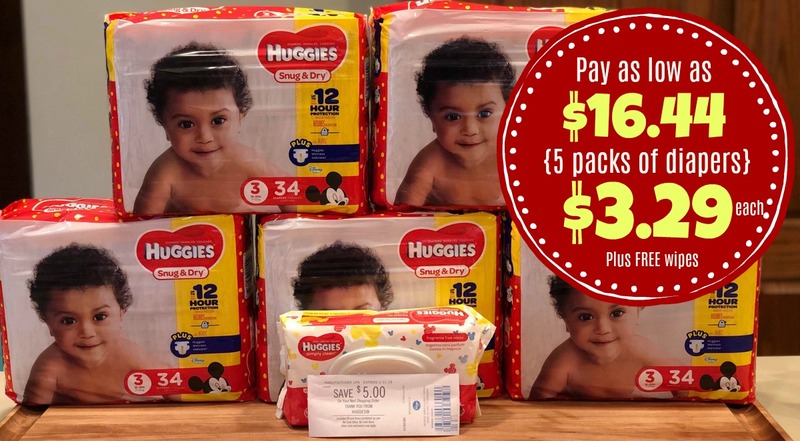 If you just need a few packs of diapers then here is a deal scenario for you based on JUST the Huggies Catalina. My running list of current Kroger Catalinas has been updated. As you may already know, this list is kept current mostly by word of mouth as there is no official list published anywhere. I wanted to thank everyone who takes the time to send me the information you receive on these – and please keep them coming!! If you receive a Catalina advertisement (not a catalina coupon!) at checkout that is not on my list, could you please let me know? Feel free to contact me by email. I prefer to have a picture of the Catalina advertisement accompany the email, but it’s not necessary if you don’t have the capabilities/technology. 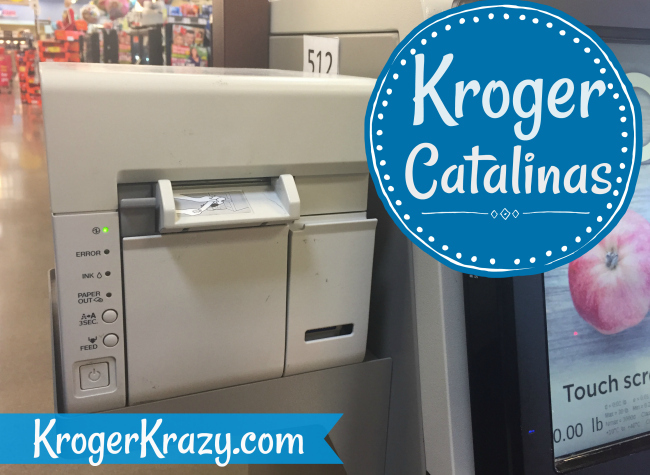 Aren’t sure how Kroger Catalinas work? Want to know what to do if you don’t receive a Catalina you were expecting? Read through THIS POST. OH BABY! 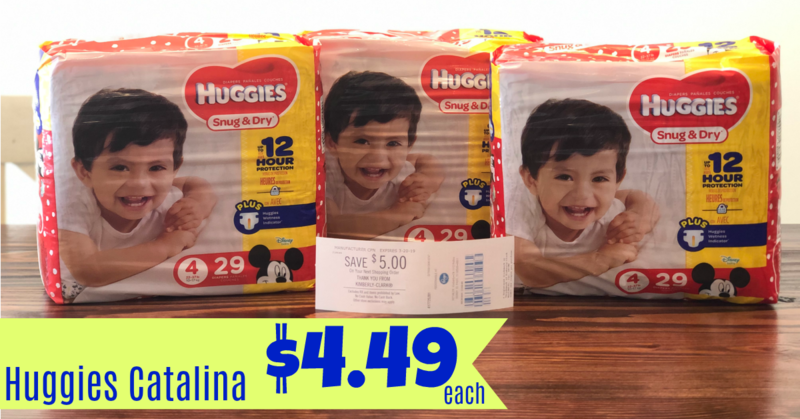 Pay as low as $3.29 for Huggies Diapers with Catalina and Baby Aisle Instant Savings at Kroger!! This is one of my most favorite deals EVER and I totally mean this even though I don't have a kid in diapers anymore! I don't like seeing parents paying full price for diapers. The Huggies Catalina/Baby Aisle double dip is BACK and it's GOOD!! 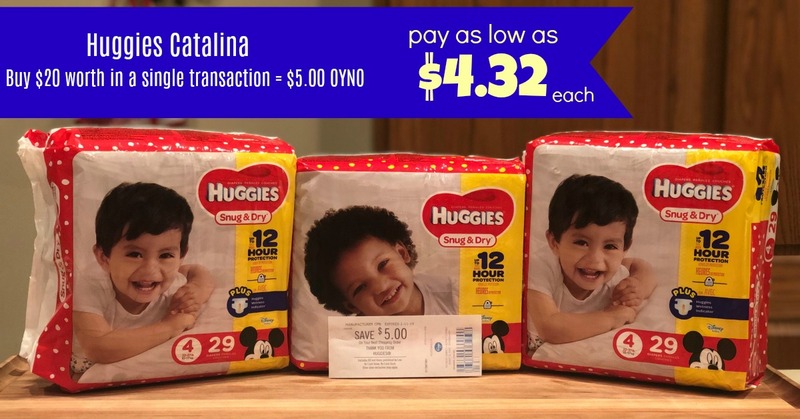 We have had a Huggies Catalina generating for a few weeks that will score $5.00 On Your Next Order when you purchase a total of $20 worth (before coupons*). BUT the even better part is the BABY AISLE Instant Savings just joined in to help us stock up. The Baby Aisle Event this time around will give you $10.00 off instantly when you purchase up to $40.00 of tagged items. I have a couple of deal scenarios for you below but this is great. You can mix and match any of the baby items you'd like to get to your $20 total for Huggies and $40 overall total*. After coupons, Catalina and Instant Savings, you'll be scoring diapers for as low as $3.29 a pack! Final cost is as low as $19.95 for all or $3.99 each!! 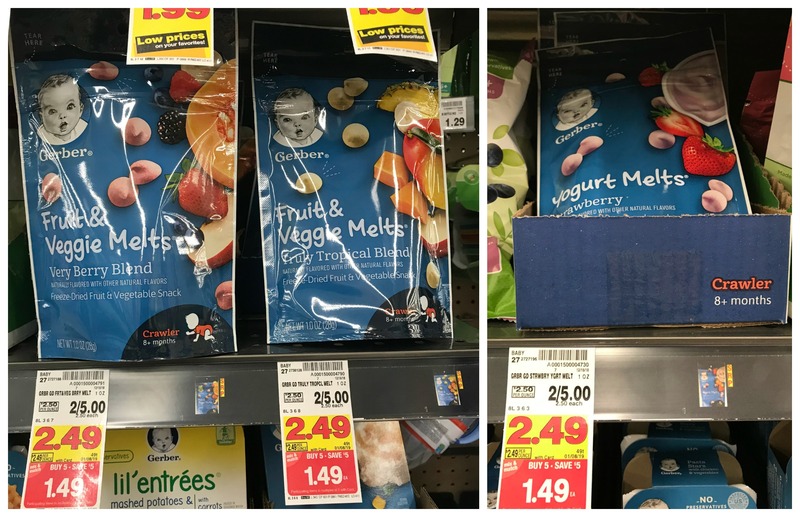 Gerber Catalina | Yogurt Melts ONLY 84¢ each with Kroger Mega Event! 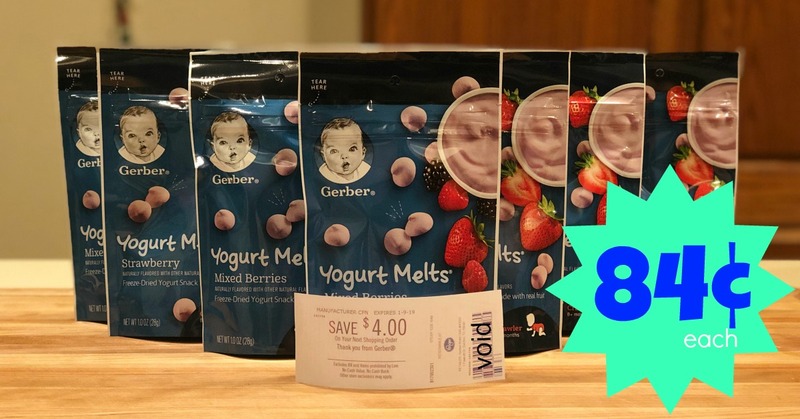 We have a few more days left of this Gerber Snacks Catalina so I wanted to make sure you knew about it AS WELL as the brand new $1.25 off 4 coupon. Print up a couple coupons, buy 10 bags and your final cost will be just $0.84 each with our Kroger Mega Event! 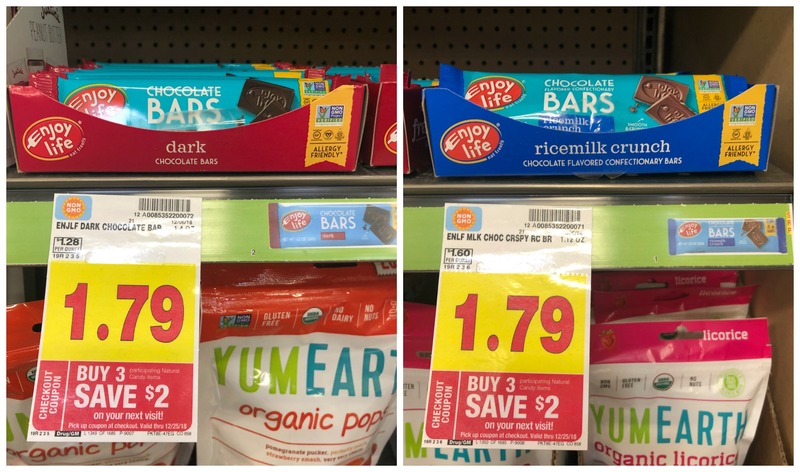 We have a FANTASTIC deal for Enjoy Life Chocolate Bars at Kroger! There is a Catalina currently generating for these delicious chocolate bars. NOT only that, but we have a Limit 5 Ibotta Rebate (this part varies). We are seeing two different rebate prices. 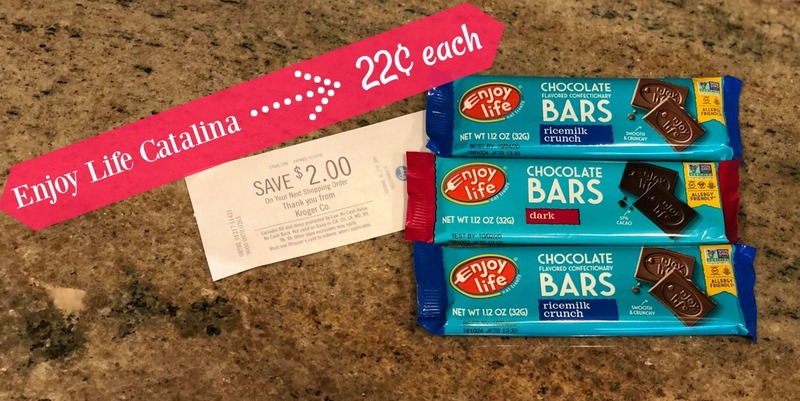 One is for $0.90/1 and the other is for $0.55/1, we are HOPING you have the $0.90/1, making your final cost ONLY $0.22 per bar!! 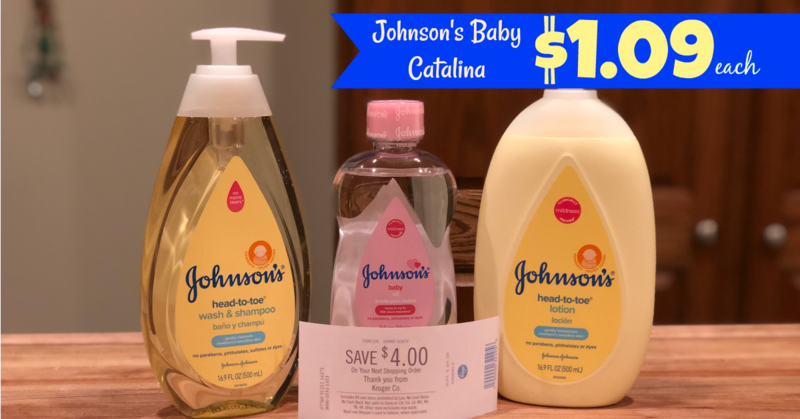 NEW Johnson's Coupons | Pay ONLY $1.09 each with Catalina! There are 2 great deals on Johnson's Baby and Desitin taking place from now through December 26th. There is a Catalina event taking place on Johnson's Baby, and Desitin (Buy $10 Get $4 off the next Shopping order)! 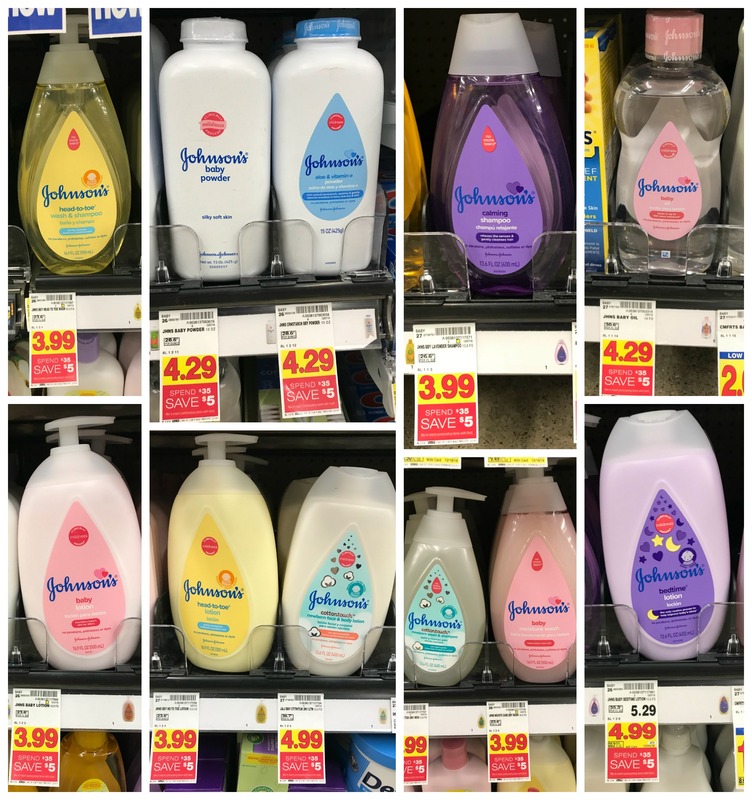 The deal includes all of their Johnson Baby Washes, lotions, baby powder and oils. 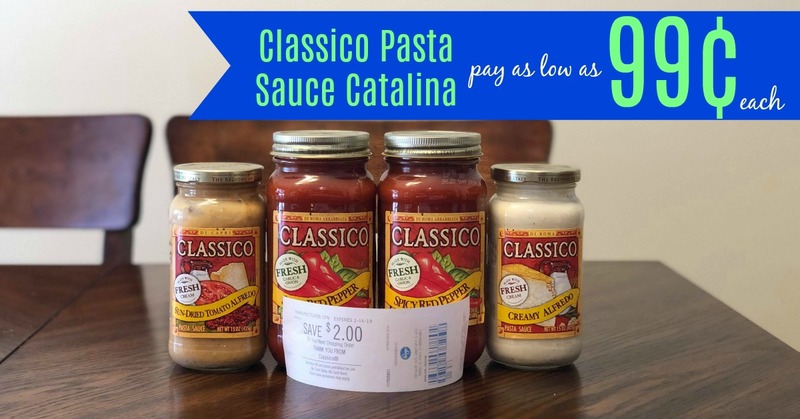 In addition to Catalina all of these items are all included in the essentials instant savings of $5.00 (when you spend $35.00 in one transaction). These products include Huggies and Abbott that run through the same date. 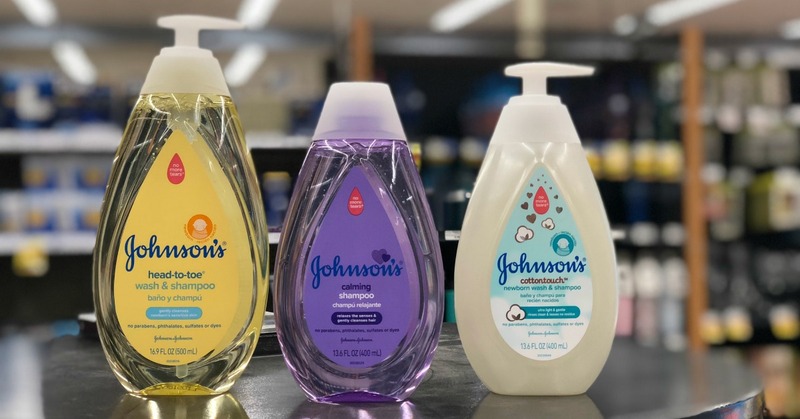 We have THREE brand new $2.00 Johnson's coupons that will help you STOCK UP! If you'd like to take advantage of the ‘Baby Essentials' deal going on at Kroger, here is a deal scenario for you. 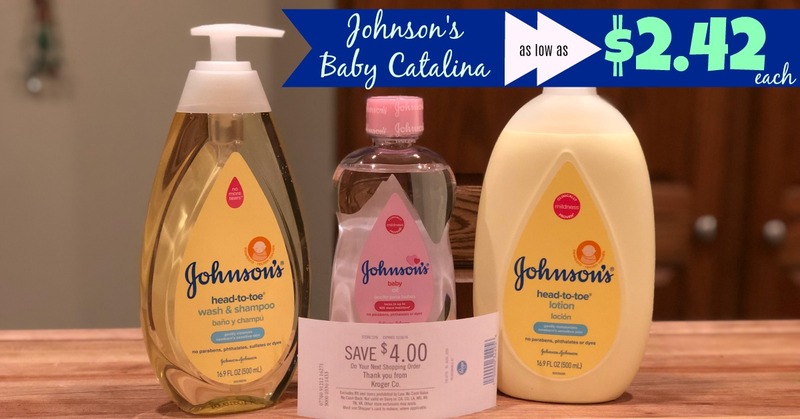 NEW Johnson & Johnson Catalina | Pay as low as $2.42 each on Baby Needs at Kroger!! There are 2 great deals on Johnsons Baby and Desitin taking place from now through December 26th. There is a Catalina event taking place on Johnsons Baby, and Desitin (Buy $10 Get $4 off the next Shopping order)! 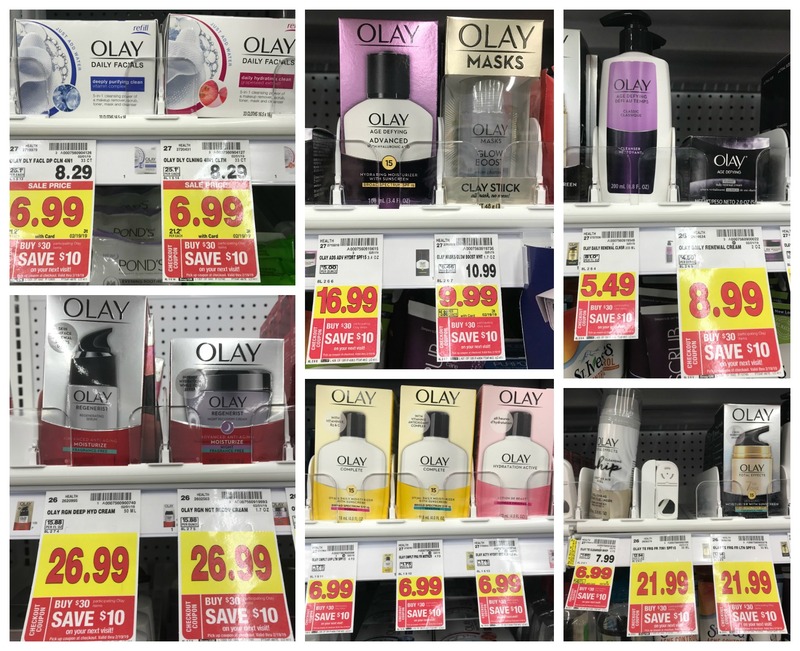 The deal includes all of their Johnson Baby Washes, lotions, baby powder and oils. 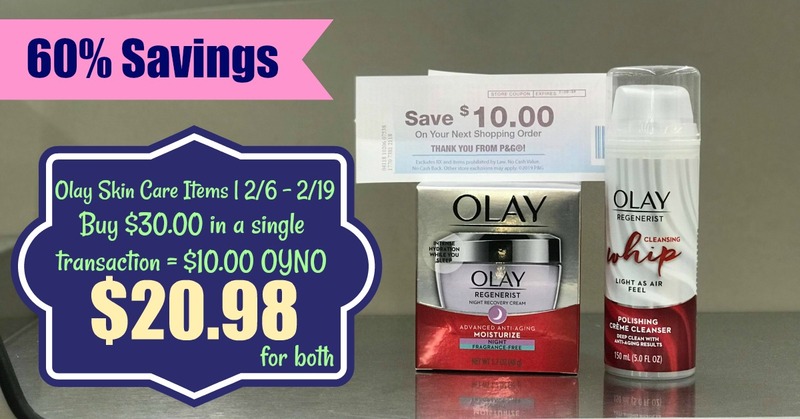 In addition to Catalina all of these items are all included in the essentials instant savings of $5.00 (when you spend $35.00 in one transaction). These products include Huggies and Abbott that run through the same date. We currently only have one printable coupon but there is still time for more. 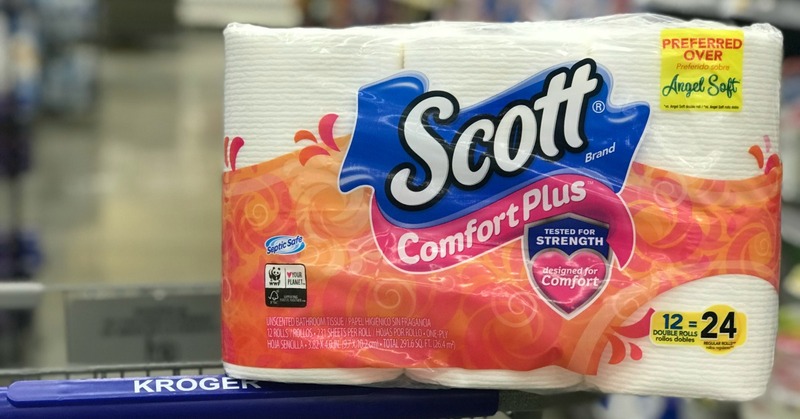 Print your $1.00 coupon and head to Kroger where you'll be able to pick up some awesome products for as low as $2.42 each. 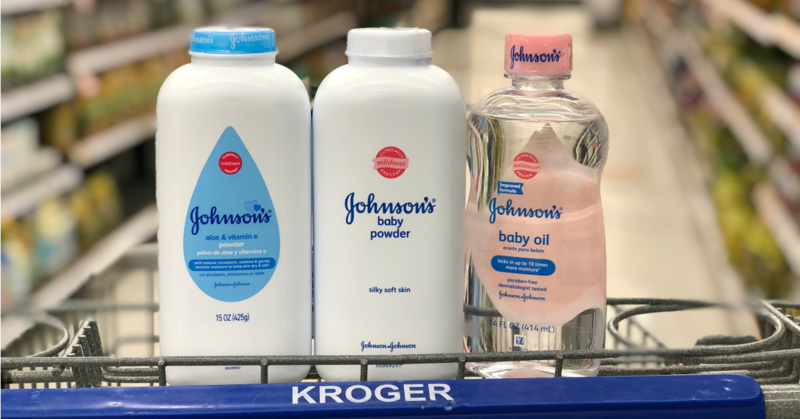 Have you tried these new Johnson's products at Kroger? Post sponsored by Johnson & Johnson. All opinions remain my own. 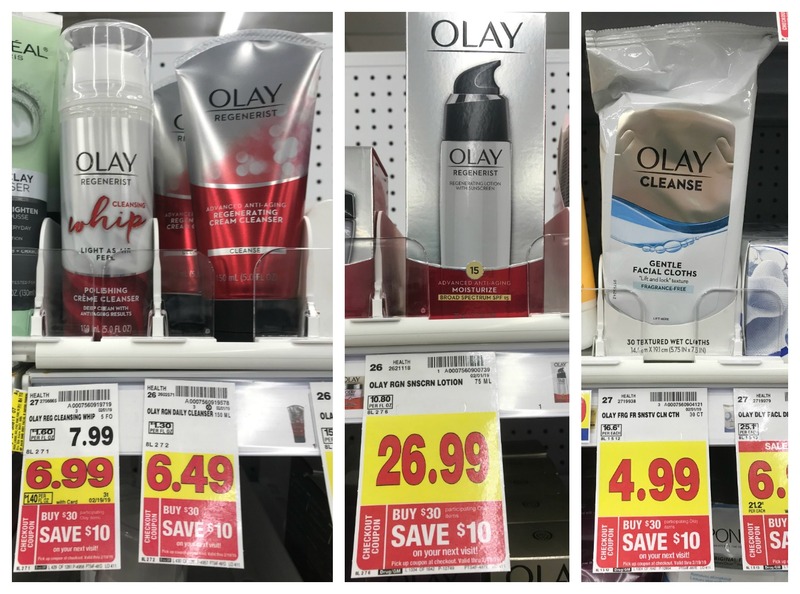 Olay Skin Care Catalina | Pay ONLY $19.99 for Olay Cleanser and Moisturizer at Kroger (Valued at $36.98)! 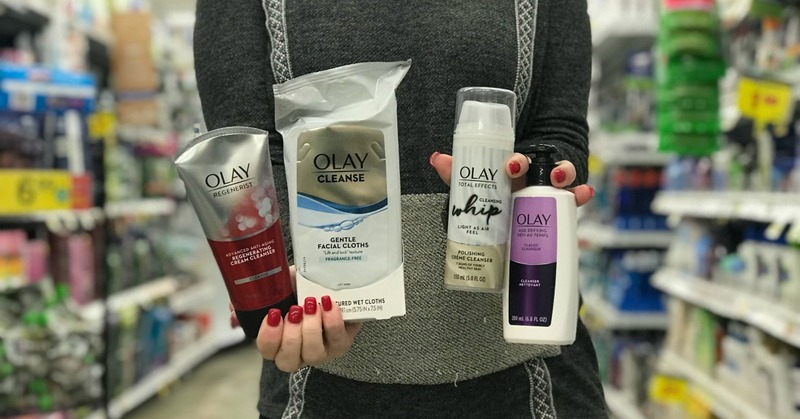 I absolutely LOVE having Olay Skin Care items in my bathroom. I love even more when I can save BIG. 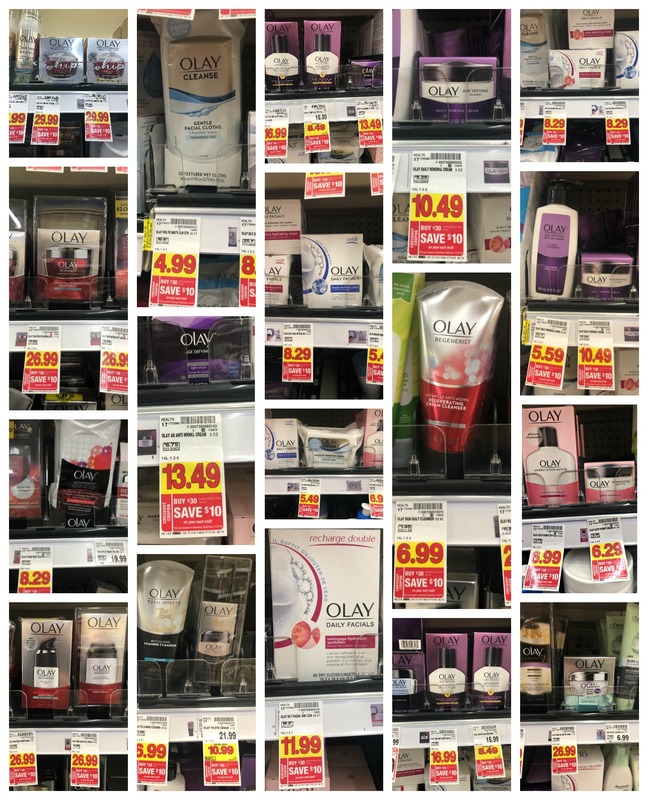 Thanks to Olay and Kroger, there is a $10.00 Catalina generating when you spend $30.00 in a single transaction. We have three insert coupons available from our 10/28 PG insert as well as a newer B1G1 coupon in our 11/11 RMN. Dig all those coupons out and head to Kroger to find out which items you'd like. I have a deal scenario for you below to get an idea on how you can save TONS. 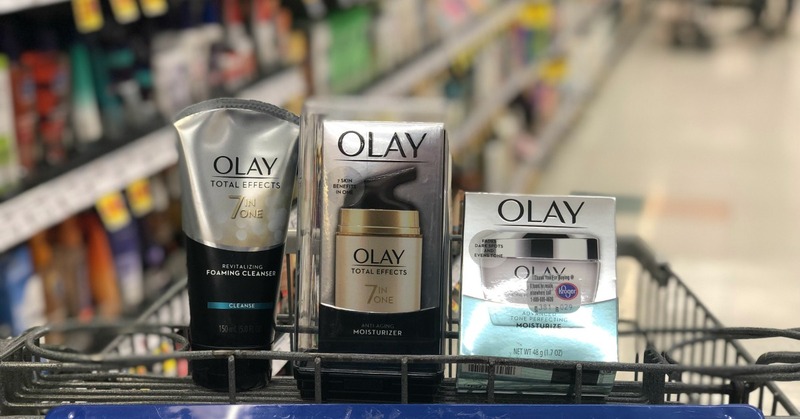 If you'd rather not purchase $30.00 worth of items and just use a coupon then you'll still be getting some FANTASTIC deals on Olay Skin Care. You won't want to miss out! Final cost is as low as $19.99 for BOTH!! 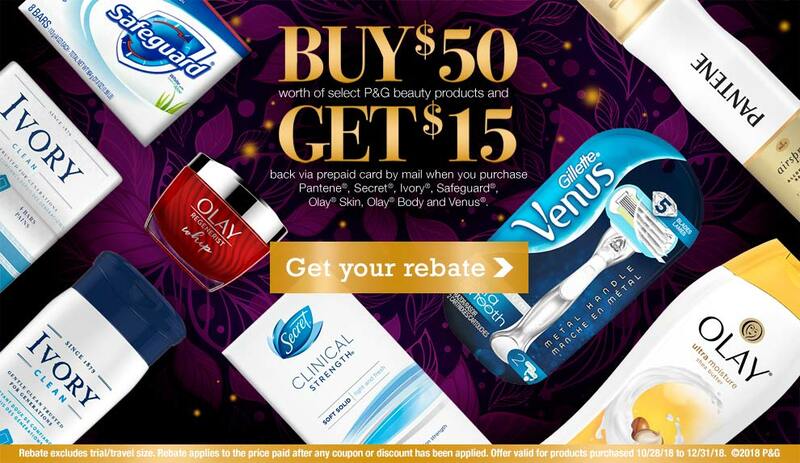 If you'd like to go ahead and spend $50.00, P&G has a rebate offer good until 12/31. 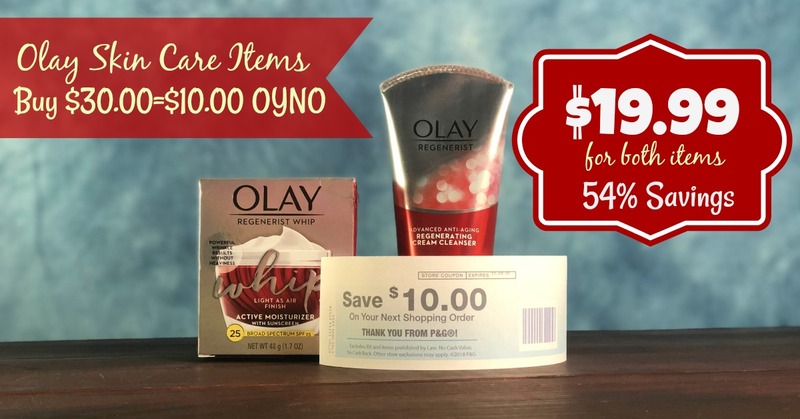 When you purchase $50 worth of Pantene, Secret, Ivory, Safeguard, Olay Skin, Olay Body and Venus products from from 10/28/18 to 12/31/18, you can fill out the rebate form, found HERE and you'll receive a $15.00 Visa Card by mail. I did this last year and I received my Visa Card in the mail in about 6 weeks (and it was spent in 10 minutes)!! *Rebate applies to price paid after any coupon or discount has been applied.